Description: Digital image processing, analysis, and manipulation; elementary computer vision. Automatic, semi-automatic, and manual analysis. 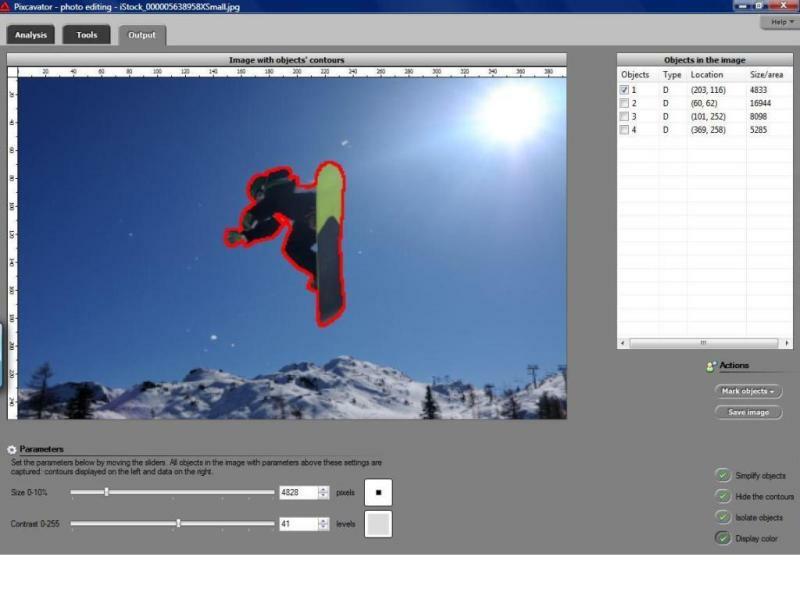 Pixcavator provides new image analysis capabilities to scientists and researchers. With a single click you can capture the contours of all objects in the image and produce a spreadsheet with each objects locations and measurements. You can mark objects in the spreadsheet to highlight objects in the image, or vice versa. Extract or remove objects as desired. The software also includes all standard image processing tools. The website http: inperc.com contains a detailed desciption of the methods behind the software, tutorials, and numerous examples.